Being a quality centric firm we are able to offer our clients a wide range of Motor Housing. 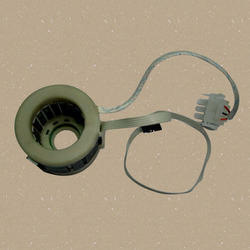 The offered motor housing is appreciated for its heat proof wire. 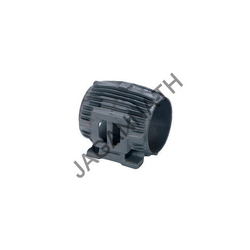 This motor housing is designed by making use of top quality material in fulfillment with industry standards. Having a positive quality management system, we are involved in presenting a comprehensive compilation of Clock Housing. We are also engaged in designing Fan Shield Motor Covers, which are available in standard as well as in customized forms. Manufactured using sophisticated technology, these products are highly efficient, durable, and anti-corrosive. We stringently test these motor covers before delivering them to the clients. Relying on our expertise in this domain, we are into offering Motor Housing. Our clients can avail from us an extensive range of back cover and front of false motor housing. These are fabricated using high end technology in compliance with set industrial norms and are appreciated for high efficiency, durability and corrosion resistance. Our range is checked on different quality parameters at levels of production, so as to deliver flawless end product to the client. Shriniwas Engineering Autocomponents Pvt. Ltd.
We are leading manufacturer and exporter of Motor Bodies and our product is made up of good quality. Being a well-distinguished companies in the market, we are into offering Motor Housing.